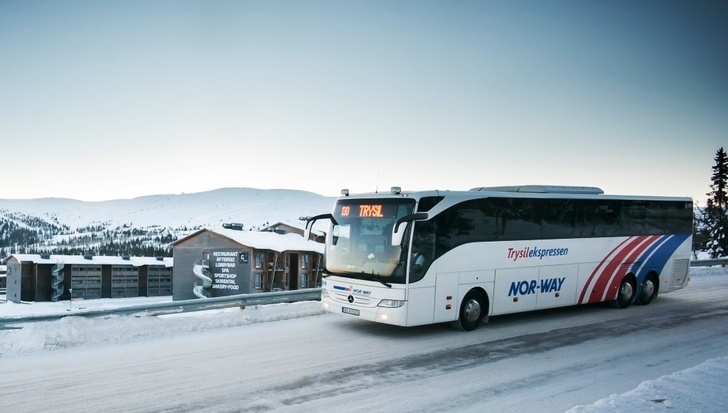 Express coach service between Trysil – Elverum – Oslo Airport – Oslo Bus Terminal. We operate every day of the year and offer permanently low prices when booking online. The Trysilekspressen is part of the NOR-WAY Bussekspress route network. Book your Trysilekspressen ticket online to be guaranteed a seat on board. Always wear your seatbelt. It is required by law. Quiet and limited mobile phone use makes for a more pleasant journey for all. Indicate clearly to the driver that you want to get on. We regret that animals are not permitted on board.